Hello everyone. I've been browsing a while so figured I'd join and pop up an introduction. 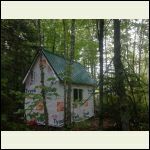 After 20 years of looking, my wife and I purchased property East of Atikokan Ontario, just North of Quetico Provincial Park. 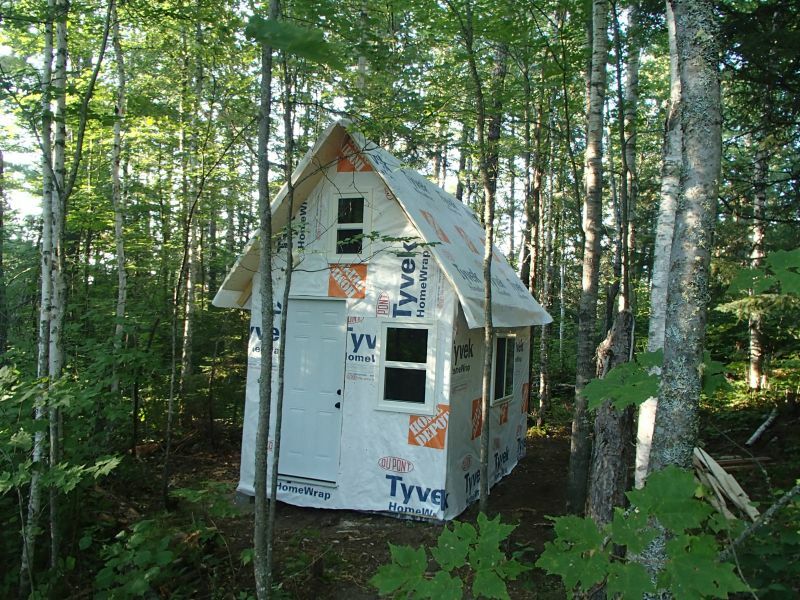 We're in the process of building a 8x13.5 foot bunkie on our property. 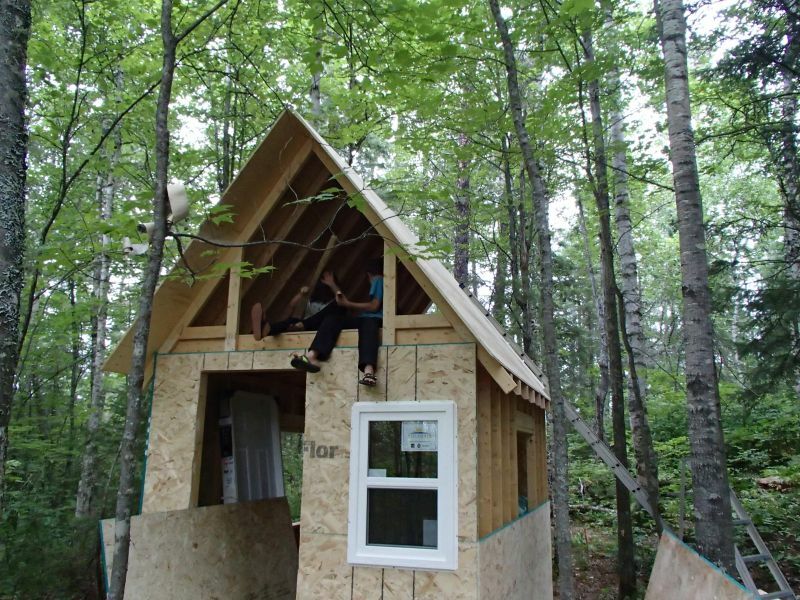 The bunkie is nestled under a canopy of white/red pine and red maple. Our little lot is covered with mature pines on a sheltered bay of a fair sized lake. I'll post some updates as we continue. 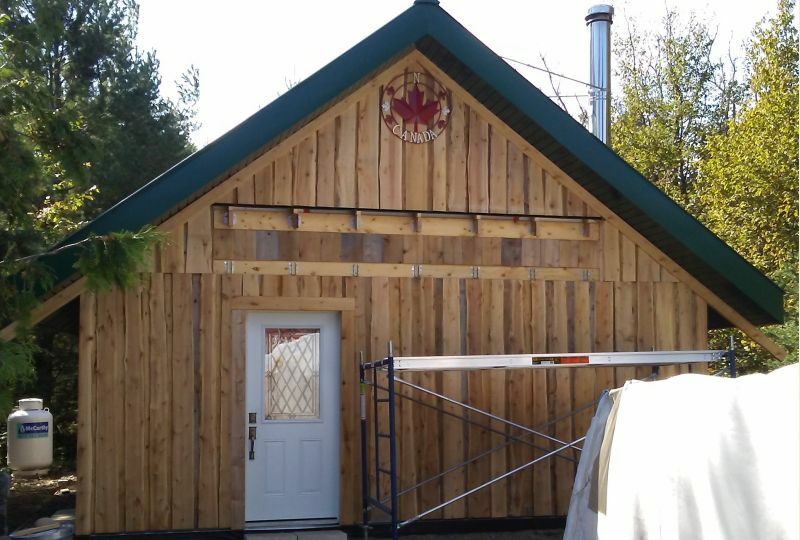 We're hoping to finish the gable ends tomorrow, as well as install the door and windows. The metal roofing will be here next week. Sounds like a great place! Welcome. What are you plans for water, septic and power? Nothing concrete yet. We're looking at the natures head composting toilet, but are currently using a portable toilet for camping. Water will likely be from the lake and filtered. For power, we just bought two 40 watt solar panels on sale. We're going to play around with it for the bunkie. All we're looking to power is three LED lights, and a couple of outlets for charging phones. 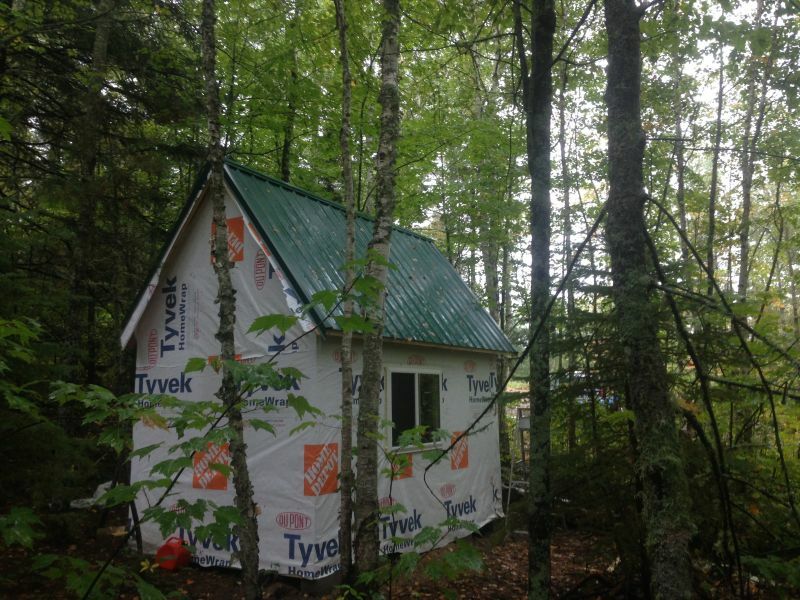 We are eventually building a 20x30 timber frame cabin on the property, that will become our main camp and retirement home. inverter runs my little camp very well.Nice job on the 10 sq. M bunky..
Do you happen to have a picture of your battery Just? 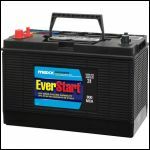 I'm a bit stumped on what to choose for our system, as 12V covers a large array of batteries. We had a productive day yesterday. 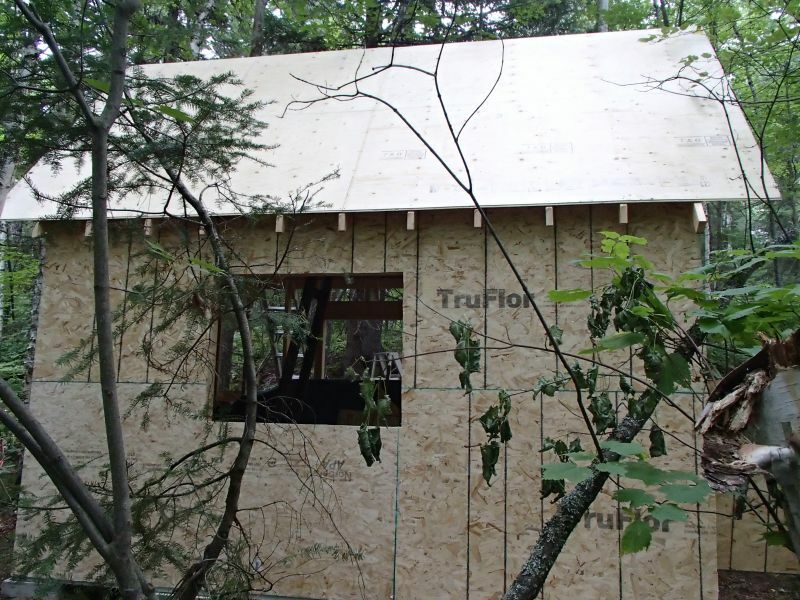 The exterior is fully covered and tyveked. 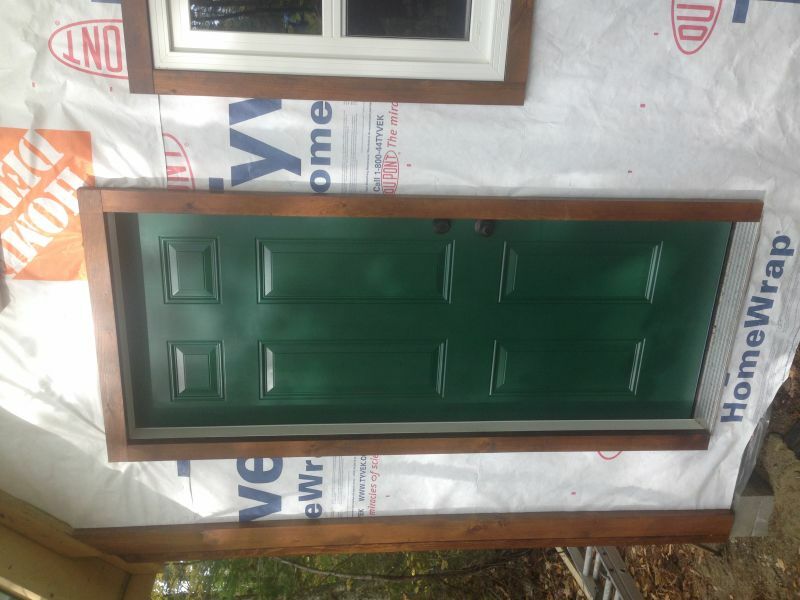 Windows and doors are in, and our front door is even keyed the same as our house. The roofing will go up sometime this week, then we just need to foam the doors and windows and we can start thinking about finishing options. 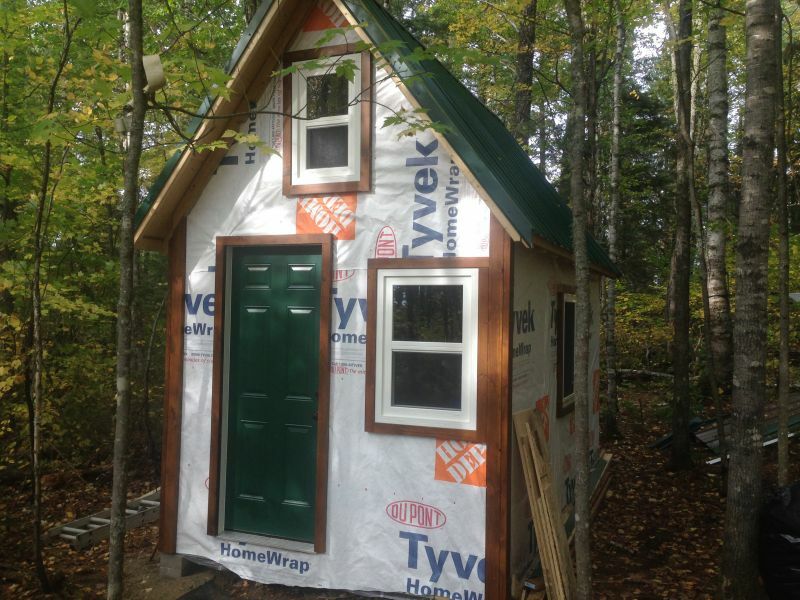 Looking good...this is the fun part....the dreaming and building the bunkie😀 We are up on the Bruce Penninsula near lions head...made the leap from bunkie to cabin three years ago....have fun and enjoy the journey. this is the battery and inverter we have wallmart battery 31 frame size 149.00 this week ..the inverter is from ctc 200 watt 39$ it runs our small tv ,radio, chargers ,and a small fan one at a time .. we have a mix of lights some led 12 volt and some floresent 110s. 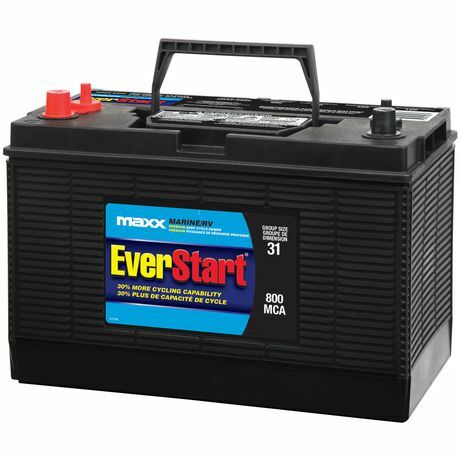 You can buy much better stuff then this and others will say its junk but it has worked for us for the last 9 years with one battery swap out .. good luck. 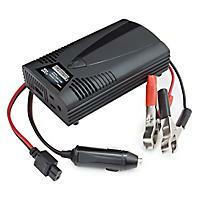 ps install a automotive fuse in each 12 volt line you run I think there is a 110 fuse in the inverter. Thanks for the info Just. Turns out my sisters boyfriend has installed solar systems before. I may be getting a helping hand in that. 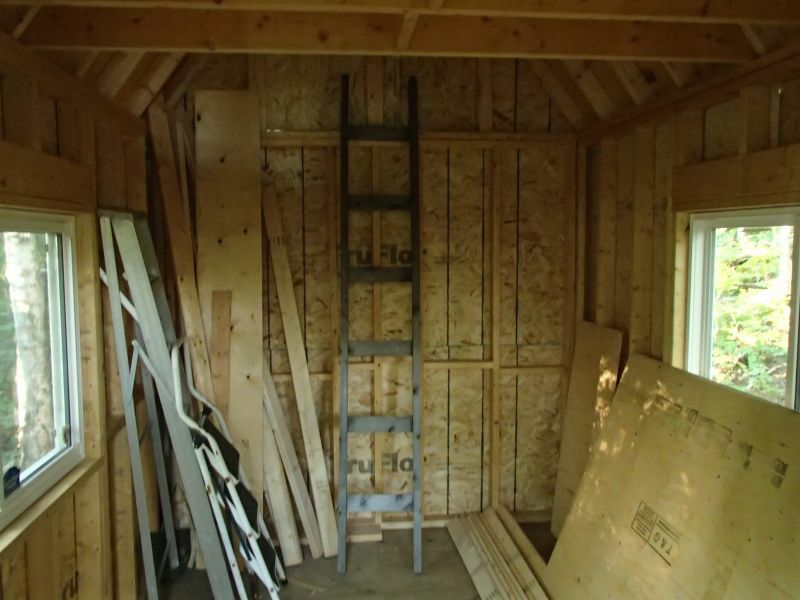 We've been making steady progress on the bunkie. The roofing sheets are up. We just need to install the gable ends and cap. 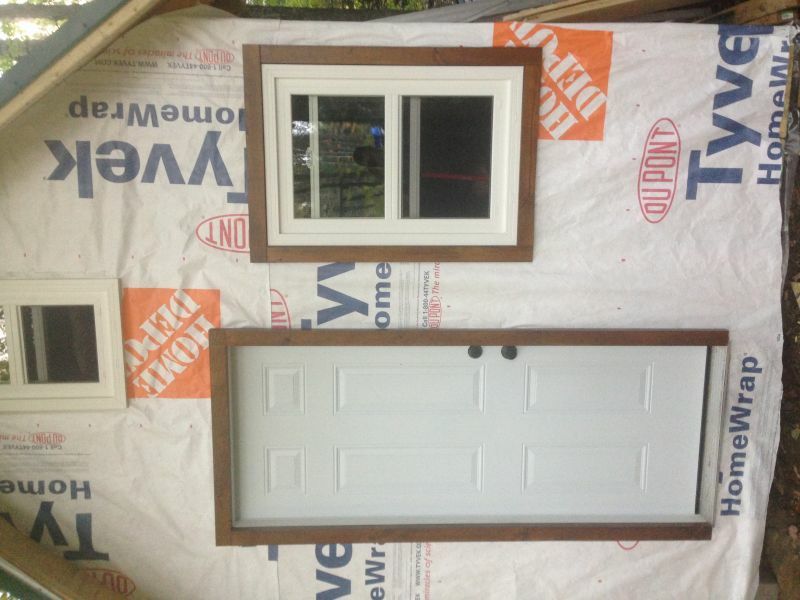 Siding is purchased. We got 2x8 log siding. Stain should be picked up today.. 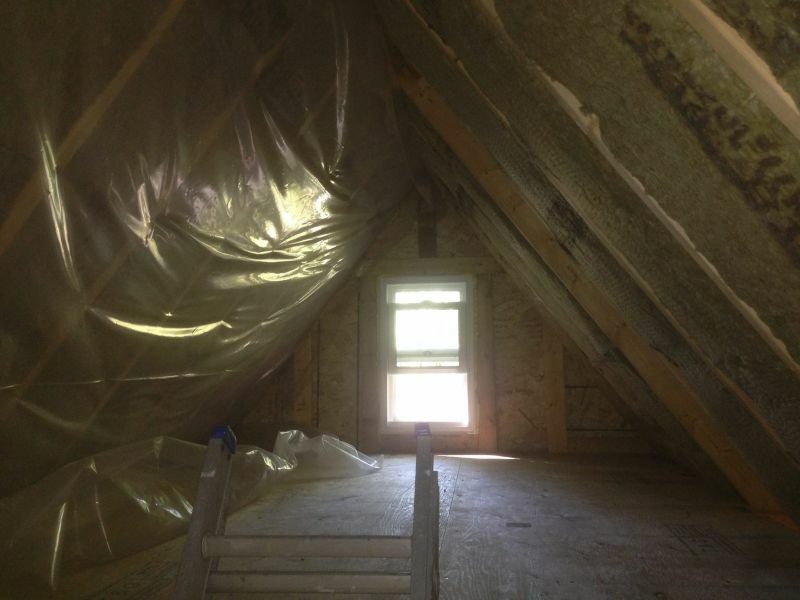 Insulation has begun to go in as well. The roof is done, the walls are next. 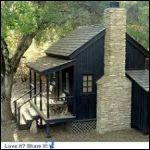 Now we're trying to figure out what stove to get for thus little cabin. Welcome Whiskey Jack... good to see another Ontario Cabineer Family working at it... I'm near Petawawa / Pembroke area. I was just in the local Home Hardware and they have a beauty of a wood stove on sale for $699 by SBI/Drolet ? - The Pyropak is $799 which has the "Bump Top" but the one on sale (not in the current flyer) has a Flat Top and a touch smaller... May have been an instore deal though. Reason I mention Flat Top is because you can get a Griddle for the top of it, see link below. I'll have a look at the SBI locally if they carry it. I already went to their site. Most seem a bit large for our tiny space. We're currently leaning towards the Cubic Mini Grizzly, or the 3KW Lite. I'll definitely keep an eye out for rusting on the stove we end up with. Thanks for the tip! I have a lot of cast iron and was planning to leave some there. I'll have to keep a close eye on that as well. we have 2 of these both in bunkys .T.S.C. LESS THAN 2OO$ cement board surround with air space necessary , they do a good job . Indeed keep an eye out, many sales in the next 3 weeks and certainly something to grab you. 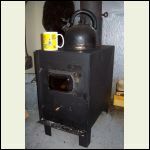 IF the stove starts to rust, clean it properly with a abrasive stripper (not wire brush) and apply a good quality Stove Black paint... it will stink on first fire (wait at least 24-36 hours before firing, 48 = better) but will be fine afterwards. Use Mag-O Boards which not only surpass cement fibre boards, it's far more environmentally friendly, no off-gassing and can be used as tile backer (wall or floor)... MOST Importantly, HALF THE PRICE of equivalent Cement Boards. I have been using this for a couple of years and absolutely think it's the Cats Meow ! OHHH not Easy to cut forget the score & snap trick... Use a Circ Saw set to 1/2", cut outside (very dusty) and if dust is a bother, a simple face mask is worth it's weight in gold. Thanks for the welcome Kat! We got the metal roof done this weekend. I managed to dislocate a rib while leaning against the roof peak. Didn't let it slow me down though (although it did slow me down today). The stove info is off to the insurance company. I'm hoping to get an answer tomorrow on whether we can use the non certified stove or not. We've been looking at the Drolet Spark, which is probably the smallest certified stove we're going to find, but it will be incredibly tight with a stove that large. We're keeping our fingers crossed that being recreational they'll let it slide. Back wall space saving option. 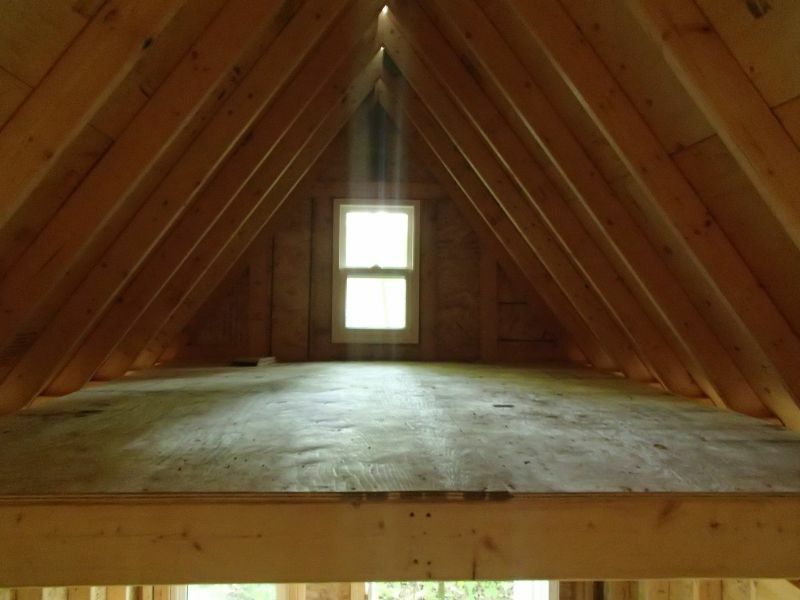 While that would no doubt look amazing, I think that would cost more than our entire bunkie. That's a very cool idea though. Shipped by Canada Post Freight and at your door 4-7 Business Days. Honestly, either of those is likely your best bet for space, ability to heat quickly but at least with the Grizzly you could do limited cooking (ok, very limited but you'll get your coffee and toast done alright, maybe a bit more if your really inclined). 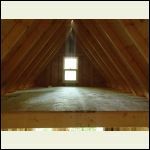 Hopefully your Bunkie is safe & secure, they would be an item someone would trod off with potentially. 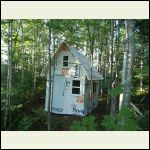 Insurance may be tricky - really depends on your existing policy as this would be an add on and some companies will NOT insure a Bunkie (if no actual residence on lot) or even hunt camp out in the bush... That circus hasn't improved over the past couple of years. Potentially another idea, which I mentioned in other threads... 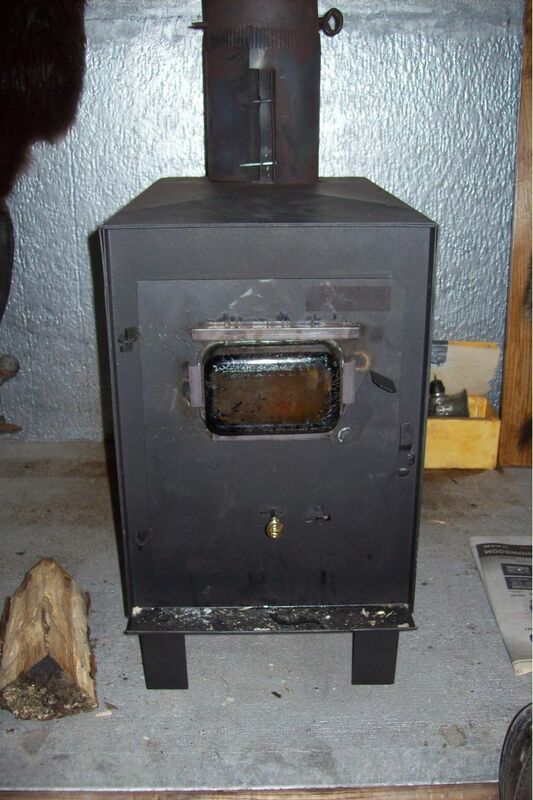 Using a recycled RV Furnace. For my Pump/Power house I used an old Direct Vent RV Propane furnace (RV was being trashed, so) which uses 12V Battery (that I charge independent of everything with a 40W panel) and two propane bottles. My Pumphouse is 12'x6' but hyper insulated. Mine is a Duo-Therm 6500 series but if you poke around RV places & other "Camper Suppliers" or repair shops for RV's you'll likely score one cheap. OR Kijiji ! The only thing I had to do was to make extensions for the intake & exhaust pipes to go through 6" of wall (due to size, I got away with using automotive exhaust pipe, which was a perfect, tight fit). 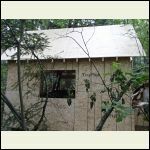 Know anyone tearing down an old trailer - heck even seen entire trailers being sold for < $500 with all their stuff... recycle what you can, rip the old "shack" off it and build a light haul trailer deck on it - OR another Bunkie ::: No permits required as it could be a Tiny House ish thing... Moveable Chicken Coop platform ? 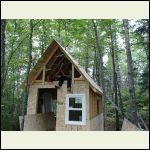 The bunkie itself is already insured on our existing plan. It's just a question of whether or not they will insure with a non certified stove. We talked to our broker today and he said any decision will take awhile, as it is new ground for the insurance company. Now we have to decide whether or not to risk the Grizzly, which is our preferred stove. 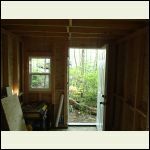 As much as folks like the ambience of a wood stove - you may also find that you get overheated quickly and space (storage) becomes a premium when you have to provide safe clearance, etc. 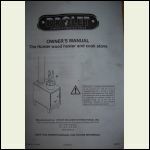 There are a number of vented gravity propane furnaces (no electrical required) out there that others have used. You can also, as Steve indicated, use an RV furnace......but I agree....love the woodstove. 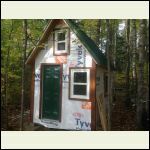 I waited till we built the bigger place after the Bunkie and put in an Elmira woodstove....luv Kijiji!! That's our conundrum. I despise RV stoves and love wood. I think we're going to end up with the Grizzly and skip fire insurance if it comes down to that. 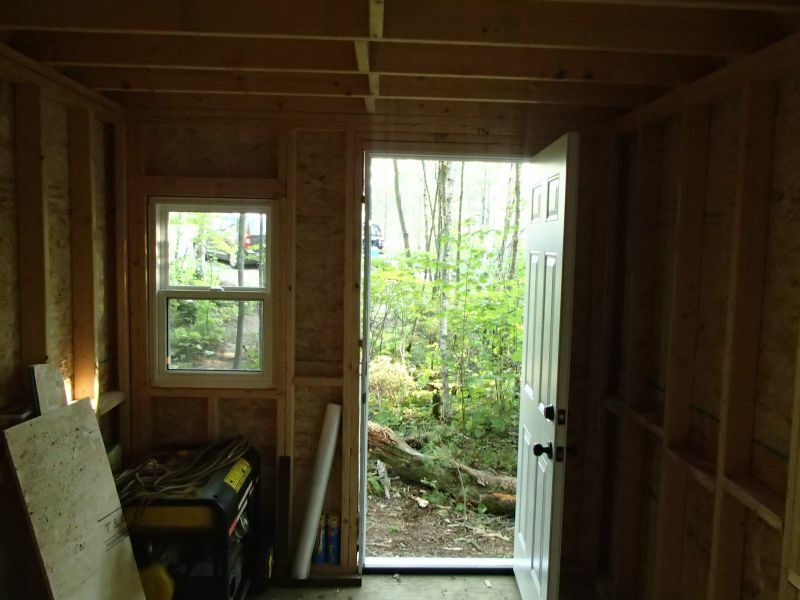 The main cabin will eventually have a wood cook stove. I've wanted one for decades. I'm actually in the bunkie now. 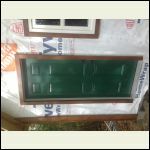 Working on exterior trim this weekend. RV'ers & Boaters have created a huge industry on small & efficient stoves & more.... the default factory stuff can be crud to really nice but the after market in their worlds are chocked full of goodies which can be used for Tiny Homes, Bunkies & Cabins... Don't discount what you can find in their after market. 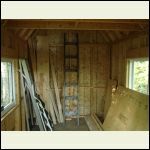 BTW: For Sheddies, Bunkies, Tiny Houses and even small cabins, RV & Marine folks have created a whole world for Solar Kits & Bundles with some darn good pricing for what they are. 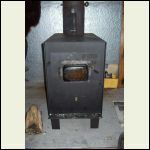 https://www.bmr.co/en/catalogsearch/result/?q=cook+stove BTW: the Big One went up $300 from last year, and we all know prices never go down, just up & up & up. I've been busy siding my place, what a chore doing it with Live Edge Cedar but the effect is as I wanted... so well worth the extra fiddly time and detailing... below is a pic of my Porch Area (WIP photo, incomplete and still needs porch roof and trimmings) Well if you consider 5 days effort on that wall, from strapping to finish... Most fiddly due to porch prep. Your place looks great Steve congrats!!! Thanks for the info Steve. I'll start looking more towards the RV and boat area. I'm pretty sure we're going to go with the Grizzly. The wall mount and possibly the fresh air intake will also be part of the order. Now I just need to figure out all the stove pipe. 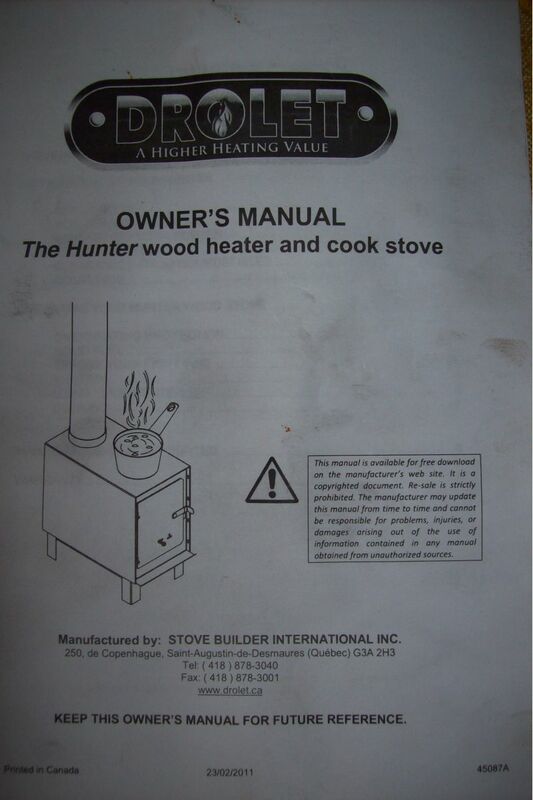 I've been researching wood cookstoves for several years now. There is an issue with the JA Robys that turned me off of them, but I can't remember what it was. Might have been the lack of a water jacket. We stop to look at their display model in Home Hardware every time we're there. I'm pretty set on a Pioneer Princess at the moment. 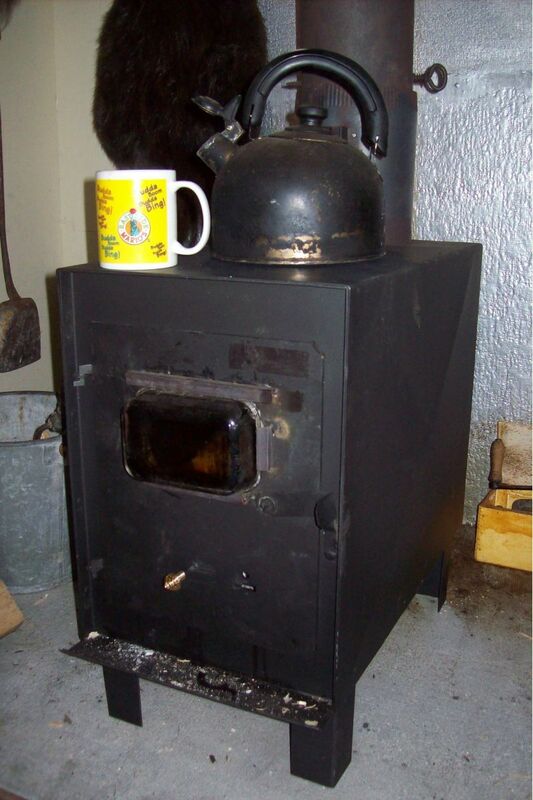 With our main cabin being only 600 square feet, most of the stoves will overheat it in a hurry. 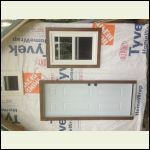 Your siding looks amazing! We just started staining ours. 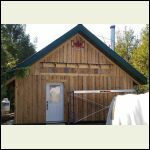 2x8 Norway Hewn log siding. It should look pretty nice when it's up. Where did you get the compass at the top? That's a pretty sweet accent. Gary, thanks for the welcome! Here's our progress from the weekend. 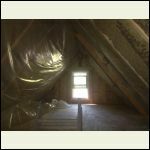 The insulation is almost completed as well. Just the peak sections left to finish.